Smartphones have evolved far beyond platforms for texting and calling, as many people now consume nearly all of their media on them whether it be music, movies, TV shows, etc. One company called Dirac realized this shifting landscape and developed algorithms to enhance the audio of mobile devices. They’ve partnered with device makers like OnePlus and Xiaomi in the past to bring you the best possible audio experience in your smartphone of choice. At Mobile World Congress 2019, Dirac has announced that its Dirac Bass and Dirac Distortion Control, as well as an updated Dirac 3D Audio, will be demoed at the event. The smaller speaker sizes on most smartphones lack the power to move enough air to create a strong bass, which is where Dirac Bass comes in. How the technology works is unconventional, as it creates the illusion of strong bass. It’s a trick used to make our ears believe that there is a lower-frequency tone when in reality it’s a combination of artificially generated overtones that are several octaves higher. This can also help to avoid speaker damage, as low frequencies on smartphone speakers can cause distortion and, ultimately, damage in the long run. We technically saw this announced ahead of CES back in December, however, the technology has not reached devices yet and the company still wants to show it off. At CES 2019, Dirac told XDA-Developers that Dirac Bass will reach smartphones in 2019, though. Smartphone speakers aren’t very capable of playing louder content due to audio crackling and distortion at higher volumes. This is especially apparent when higher pitched frequencies are playing from certain instruments like pianos. This phenomenon is known as “piano distortion,” though it’s not actually related to the instrument itself. Instead, it’s caused by the mechanical limitations of smartphone speakers and the constrained space that they have. Dirac Distortion Control helps to avoid that phenomenon with minimal impact on the quality of the audio or the loudness. The technology makes use of loudspeaker profiles that determine how to avoid distortion and monitors the audio to decide when to apply the fix. Dirac 3D Audio has been around for a while now, and it is primarily aimed at headphone users—specifically those who game on their smartphone. The company’s 3D Audio technology uses dynamic HRTFs (head-related transfer functions) to enable positional audio reproduction with one degree of resolution in all three dimensions. Just as important as raw audio processing is reverb, which is what Dirac claims to have put a lot of time into replicating to have proper spatial sound. It’s especially important for gamers of mobile 3D shooters such as PUBG so that they can figure out where exactly a sound is coming from to react to it. Dirac will be showing off all these technologies at MWC so that attendees can give the latest in smartphone audio enhancement technology a try. Smartphone audio is an area that few companies take seriously, perhaps due to lack of consumer interest or lack of resources to invest in improving them. While LG can afford to invest heavily on smartphone audio, other device makers turn to companies like Dirac to tune their audio. Does Dirac really make a difference in audio quality? It’s hard for the average user to tell without a way to toggle their tuning on and off, unfortunately. OEMs decide whether to expose that level of control to the user, and only the Moto Z smartphones offer a way to turn off Dirac’s processing. Even if you were to root your phone and install a custom ROM or kernel, you likely wouldn’t be able to turn off their audio technology since it’s integrated at the DSP level. Rest assured, however, that Dirac’s audio technology does have a noticeable impact on audio quality. We were given the opportunity to compare how music and videos sound with and without Dirac’s audio processing and can attest that there are improvements in all advertised areas. While we’re no audiophiles, the sound produced with Dirac tuning sounds better to our ears. You don’t have to care at all about Dirac to just benefit from it. In fact, many of you probably own a smartphone that benefits from Dirac’s technology without even knowing it. All OnePlus phones from the OnePlus 2 to the OnePlus 6T have either Dirac HD Sound and/or Dirac Power Sound. Xiaomi smartphones including the Mi 8, Mi 8 SE, Mi Mix 2S, Redmi Note 5, POCO F1, Mi A1, and more support either Dirac HD Sound and/or Dirac Power Sound. OPPO smartphones like the R11, R15, Find X, and R17 also support Dirac HD Sound, Dirac Power Sound, and Dirac Sensaround. We have a full list of smartphones that have audio tuned by Dirac which we’ll share in a separate article, so stay tuned. 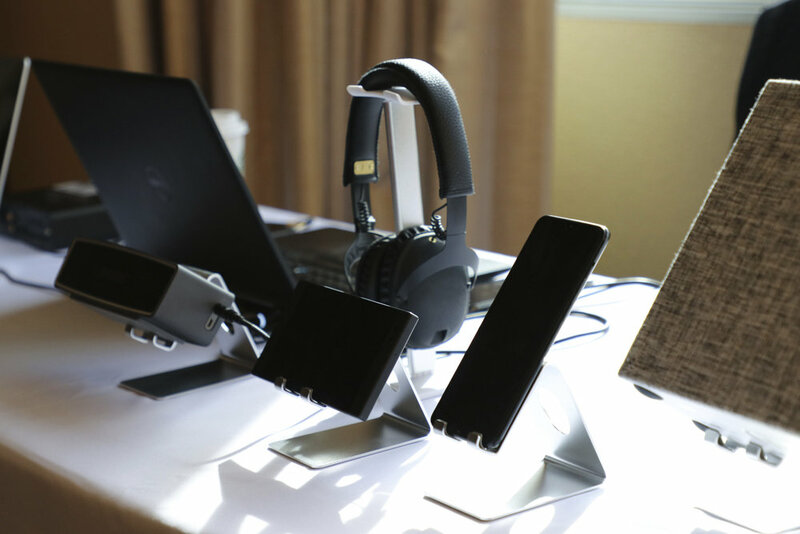 If you’re interested in learning more about Dirac’s role in smartphone audio, you should check out our interview with Erik Rudolphi, Dirac’s General Manager of Mobile.